I haven’t posted anything about this but my Dad has been in a senior living center since March. He went there to recover from a fall in which he broke his pelvic bone. Since then, he has now become a long-term resident. It was a tough decision for us to make, but we believe it was the best to keep him safe. He can barely walk. He could not walk very well before due to pain and having both hips replaced. Despite physical therapy, his knees are too weak and being in a wheelchair is safer for him. He also has dementia. So, he is unable to care for himself and be alone without full time care. At the center, he has a roommate named Mr. Ben. Mr. Ben calls my dad his buddy and takes good care of him. They share treats and potato chips and seem to get along well. 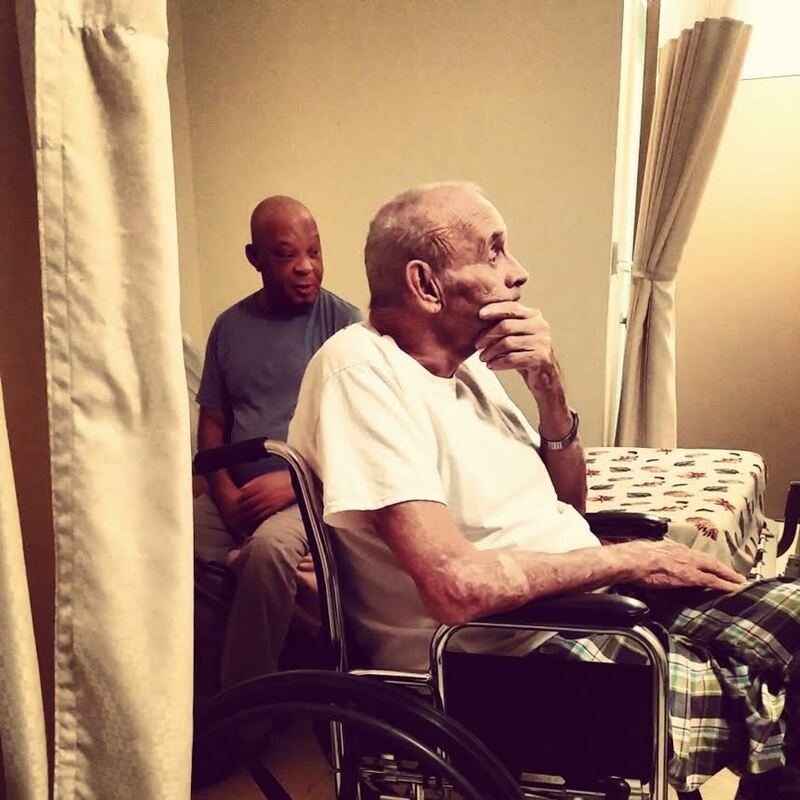 Though it breaks my heart sometimes to see Dad here in this stage of his life, I’m at least glad to know he is safe and getting good care, and that he has a friend.